This will be the fourth concert a-ha have played at Luna Park. In 1991 the band did two concerts at the venue, while in 2010 they opened the Ending on a High Note Tour there, in front of 10,000 people. “An incredible audience. We were carried forward on a wave of South American madness”, Magne said after the 2010 opening show. Now it looks like they may be opening the Cast In Steel Tour at Luna Park as well. There will also be several other tour dates in South America in September/October, following Buenos Aires and Rio. This according to an Aftenposten article. Even Ormestad, known from the band Jaga Jazzist, is playing bass guitar on the new a-ha album Cast in Steel and will join the band on stage on the whole 2015-2016 tour. This was revealed in a conversation on the official Jaga Jazzist Facebook page today. Ormestad has been a musician and producer for a number of Norwegian bands and artists in recent years, including Sassybeat – which was signed and managed by a-ha manager Harald Wiik. Most recently he produced Daniel Kvammen’s well-received debut album Fremad i Alle Retninga. a-ha have not had a bass player with them on tour since Sven Lindvall’s departure in 2007. 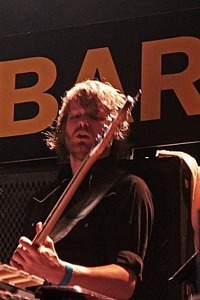 On the 2009-2010 tours, keyboardist Erik Ljunggren only played bass guitar on a few select songs. 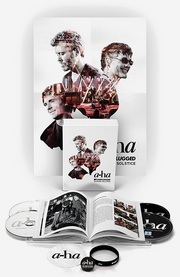 As previously known, Ormestad’s Jaga Jazzist bandmate Lars Horntveth has been working on string arrangements for the new a-ha album – two songs, to be precise, according to their Facebook page. And as for the rest of the backing band on the Cast in Steel Tour, Karl Oluf Wennerberg has hinted on Instagram that he will still be behind the drums, at least at Rock in Rio this year. The new short film Hemland, in which Morten appears together with Syrian refugee Raghad Kanawati, aired on SVT1 in Sweden yesterday. The film includes a new, acoustic version of “Hunting High and Low” that Morten recorded with Peter Kvint at Studio Brun in Stockholm recently. In addition, “Brother” is played during the end credits. Hemland is now available for viewing online at svtplay.se (until June 2nd).